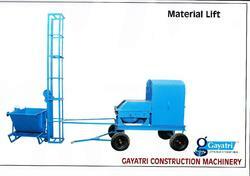 Leveraging on our industrious work force, we are able to manufacture, supply, export and wholesale Concrete Mixer Spares Parts such as Concrete Mixer Spares Parts, Sayaji Yoke with Bush, Sayaji Drum with Bush, Millar Ring, New Model Drum with Bush, 3/4" Bag Drum with Bush, Bevels, Winch Drum with Bush. 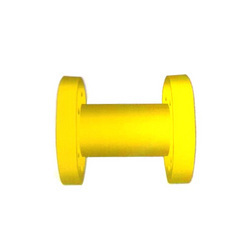 These concrete mixer spares parts are dimensionally accurate and are engineered to perfection by our experts. Our company has gained expertise in the manufacturing, supplying, exporting and wholesaling of Winch Drum with Bush & Bearing which are primary used as a spare part in the concrete mixer. Uniquely formulated, these have the capability to give excellent output and are extremely versatile. 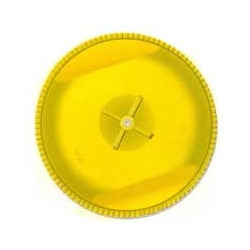 In addition to this, these are available in two types- Bush, Bearing and Sizes 24”, 16”, 20 etc. Finally, these are quite easy to maintain and operate. 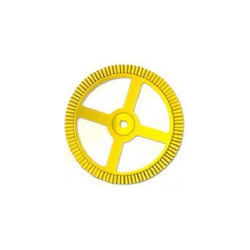 Size: 24", 20" 18" 16", 12"
Our company is widely recognized as the leading manufacturer, supplier, exporter and wholesaler of Material Lift and Its Spare Parts. Developed and designed in compliance with the standard industry parameters, these have glossy appearance and excellent functionality. In addition to this, these are quality tested by our quality inspectors individually making use of advanced technology. 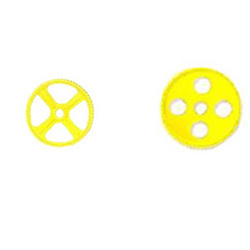 These spare parts are offered at nominal prices to our beloved customers. Our company specializes in the manufacturer, supplier, exporter and wholesaler of 3/4" Bag Drum with Bush which is known for their awesome quality and long functional life. These are dimensionally stable and are polished well which renders it glossy appearance. Finally, these are available at reasonable prices. We excel in the domain of manufacturing, supplying, exporting and wholesaling of Millar Ring which has tremendous quality and consisting of 85 teeths. These rings have dimensional accuracy and are manufactured at our state of the art center. 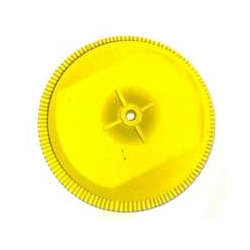 In addition to this, these are quality tested rigorously in various industrial parameters and are fully customizable. Finally, these millar rings are available at reasonable price. Our company is among the best rated companies which deals in the manufacturing, supplying, exporting and wholesaling of Sayaji Drum With Bush which have magnificent quality and manufactured in tandem with quality industry norms by our adroit industry professionals. These drum with bushes are ideally suited for the construction process. Available in various technical specifications, these are rust free and precise functionality. 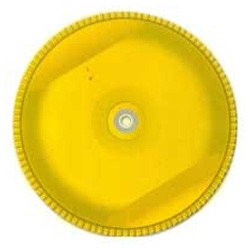 Our company has set benchmark in the manufacturing, supplying, exporting and wholesaling of New Model Drum with Bush which has been lavished with praise by our beloved customers for its excellent performance and world class finishing. 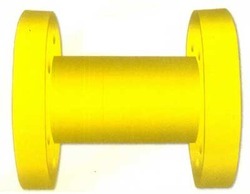 These are extensively used in the construction industry and are available in bearing and bush types. Possessing outer dimension of 38” and teeth of 104, these are available at leading industrial prices. 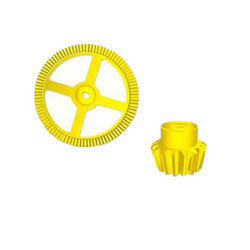 Our company is the foremost manufacturer, supplier, exporter and wholesaler of Sayaji Yoke with Bush which are designed and developed for easiest, fastest and most economical installation. 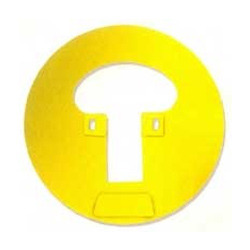 These yokes are widely used across the construction industry and are widely acknowledged for their high efficiency, abrasion resistant finish. In addition to this, these bushes provide exceptional performance and are available in various ranges and specifications. Our company is widely appreciated in the domain of manufacturing, supplying, exporting and wholesaling of Pan Mixer Spares which under go unmatched finishing and are customized as per the client requirement. Essential part of the construction industry, these bevels are available in different ranges such as Different Range Such as 13 T Bevel14 T Bevel15 T Bevel16 T Bevel and 96 T Bevel. In addition to this, these give splendid performance. Our company is among the most trusted companies which deals in the manufacturing, supplying, exporting and wholesaling of Pan Mixer Spares. Available in myriad of designs and specifications, these mixer spares are ideally suited for use in the construction industry. Manufactured at par with the set industry standards, these pan mixer spares use the latest tools and technology for their working. 3 Hp phase motor supplier power to these mixer spares and efficiently mix small granules. Our company is among the most sought after companies which deals in the manufacturing, supplying, exporting and wholesaling of Tower Hoist Spares which are available in host of sizes and specifications. Applauded by the industry experts for precise functionality and everlasting finish, these tower hoist spares are available in variegated sizes ranging from 24”, 16 etc. Our customers can avail these hoist spares in various ranges which include Fiber Roller, Runner Shaft, Break Shoe etc. Our company is the leading manufacturer, supplier, exporter and wholesaler of Chain Wheels which possess dimensional accuracy and give consistent performance. Fabricated from top quality material, these chain wheels are equipped top notch components procured from our leading industry vendors. In addition to this, these are available in wide assortment of teeth ranging from 11 to 95 and pitch 1” to ¾’”. Apart from this, these have the ability to withstand the effects of unfavorable circumstances and are quite easy to maintain and operate. 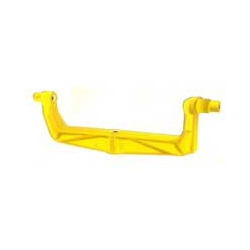 Looking for Concrete Mixer Spares Parts ?